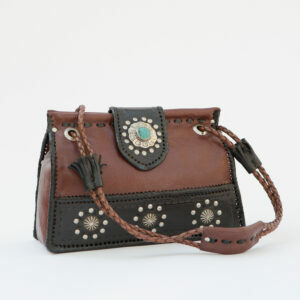 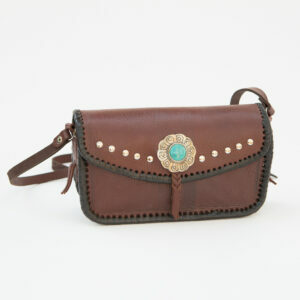 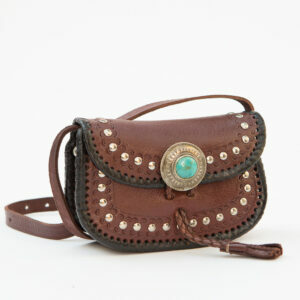 Good size shoulder bag with eye-catching details – cow-horn conchos, hand engraved antiqued silver corners. 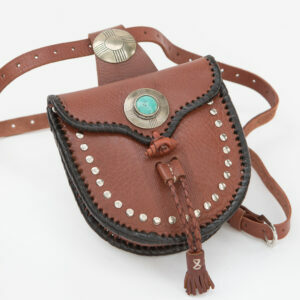 Inside divider, back pocket, button/cinch closure, 48” adjustable strap. 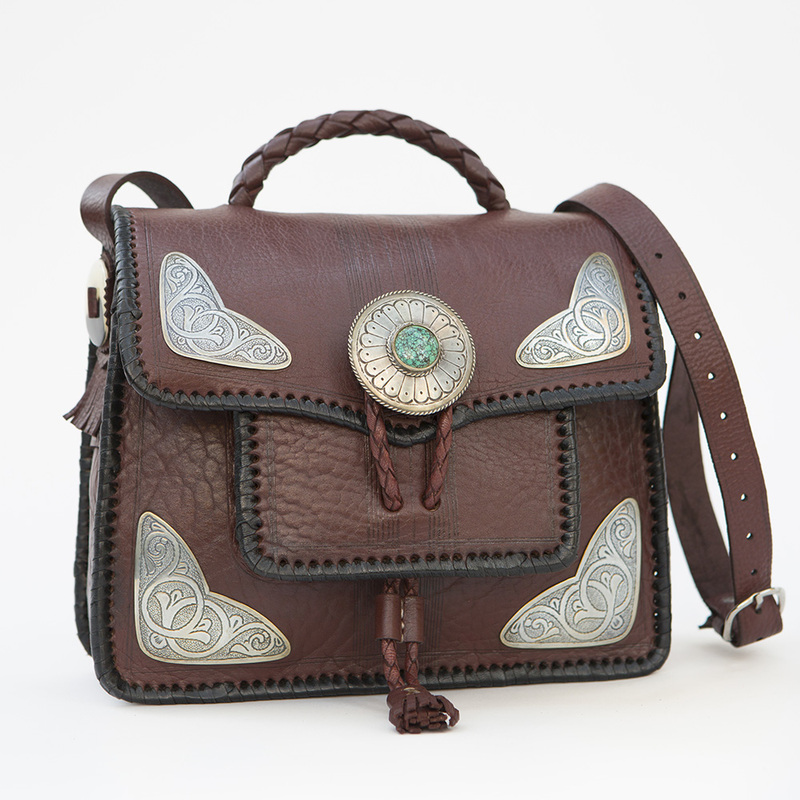 10x9x3.5 in.